Ebooks cannot be refunded or exchanged once you have confirmed sale. Are your ebooks available to customers outside of the UK? Although our ebooks are listed in Pound Sterling, they are available to customers worldwide. Am I paying tax with any of these products? All ebooks, including bundles, are inclusive of tax. German War Machine takes payments through PayPal, which accepts both debit and credit cards. How can I tell if my device supports your ebook format? German War Machine supplies its Rapid Reads and Classic Texts in both epub and mobi formats. Epub formats are most commonly read on Apple (iBooks) and Android devices, Kobo, Nook and Linux tablets. Mobi formats are most commonly read on Kindle devices, and the Kindle app for iOS, Android, Mac OS X, and Windows. You can read our titles on your computer or laptop if you have the Kindle app. You can unsubscribe from our newsletter at any time by clicking on the ‘Unsubscribe’ button at the bottom of your newsletter. We will take you off our mailing list, but you can always sign up again! What happens if I accidentally delete my ebook? Please be aware that each title you download entitles you to three downloads of that book. Where can I find my purchased ebooks? Once you have purchased your titles, and have received a payment confirmation from PayPal, you will be directed back to the German War Machine website. Here, you can go into your account and in the Downloads section, where you will be able to download copies of your purchased ebooks. Can I choose the titles I want in a bundle? The current bundles that we have on offer are pre-selected. 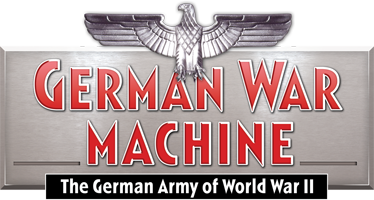 German War Machine hopes to offer a facility where you will be able to choose your own titles in a bundle very soon. Do your books come in print format? German War Machine currently only offers digital products. We hope to be able to offer our titles in print format soon. Will you cover any more topics in the German Army? German War Machine hopes to keep expanding its Rapid Reads brand as well as the Classic Texts that are available. If you have a suggestion for a subject you would like to see covered in one of our Rapid Reads, please fill out the form at http://germanwarmachine.com/feedback with the subject line ‘Article Proposal’. My question isn’t here. How do I get help? We appreciate any constructive feedback you offer. You can do this by filling out a form at http://germanwarmachine.com/feedback if you wish to leave a general enquiry, or propose an article for us.